Social anxiety disorder is a chronic mental health condition which can lead to extreme anxiety, feelings of tension, irrational fears, lose of self-awareness and self-confidence, and embarrassment. It is normal for a person to feel emotional in some social situations but being extremely emotional is not good and can be harmful to health. Social anxiety disorder, or so-called social phobia is a chronic mental health condition in which a person feels very frightened and anxious, For example, going to a romantic date or presenting a presentation that can lead to feelings of tension, anxiety, and emotion. A person may feel embarrassed when he speaks for the first time to people he does not know because he fears that others will evaluate him or judge him. Social anxiety disorder can lead to extreme anxiety, acute stress, feelings of tension, intense and irrational fears, lose of self-awareness and self-confidence, and embarrassment due to the fear of being focused on daily conversation and monitoring the actions of a person or judging them. In the case of social anxiety disorder, fear and anxiety lead to avoidance that can disturb life. Acute stress can affect normal daily activities, work, school, or other activities. Tension is also a type of social anxiety disorder where a person experiences fear and anxiety only when speaking or dealing with the public. Psychotherapy and medication can help the patient gain self-confidence and improve the ability to interact with others. Shame or discomfort in some situations does not necessarily reflect signs of social anxiety disorder, especially in children. Comfort levels differ in social attitudes, depending on personality traits and life experiences. Some people by nature are conservative and others are more open. Unlike the nervous tension that can occur on a daily basis, social anxiety disorder involves fear, anxiety, and avoidance that goes against daily routines, work, school or other activities. Social anxiety disorder symptoms often appear at the onset of adolescence to mid-teens, although they sometimes can begin in younger children or in adults. In children, anxiety may arise when interacting with adults, peers or parents in the form of crying, anger, clinging to parents or refusing to speak in social situations. Social anxiety disorder symptoms may change over time. The may increase if you are facing great stress or many demands. Although avoiding situations that result in anxiety may make you feel better in the short term, long-term anxiety is likely to continue and persist if you do not go to the doctor to receive treatment. Inherited traits: Anxiety disorders tend to spread among family members. However, it is not entirely clear how much of this can be returned to genes and how much it can be attributed to acquired behavior. Brain structure: A brain structure called the amygdala can play a role in controlling fear response. People who have hyperthyroidism may have a high response to fear, leading to increased anxiety in social situations. Environment: Social anxiety disorder may be an acquired behavior - some people may develop the situation after an annoying or embarrassing social situation. Also, there may be a link between social anxiety disorder and parents who behave in a socially anxious or overly protective manner in protecting their children. Family history: You are more likely to have a social anxiety disorder (social phobia) if one of the parents or siblings suffer from the same condition. Negative experiences: Children who are harassed, bullying, rejected, ridiculed, or insulted may become more vulnerable to social anxiety disorder. In addition, other negative events in life, such as family conflicts, trauma, or abuse, may be associated with social anxiety disorder. Mood: Children who are shy, disoriented, withdrawn, or embarrassed about new situations or people are more likely to be infected. Modern social or practical requirements: The symptoms of social anxiety disorder begin naturally in adolescence, but the onset of symptoms may first provoke interviewing new people, speaking to an audience or giving a presentation at work. A striking appearance or condition: for example, facial deformities, stuttering, or Parkinson's shivers, may all increase the sense of shyness in particular, and may be spread by the onset of social anxiety disorder in some people. 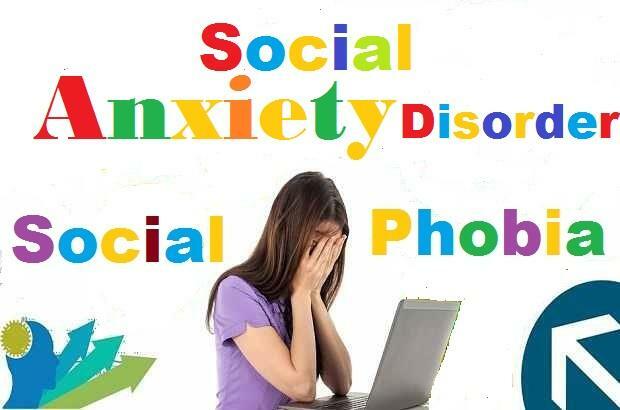 Other anxiety disorders and certain other health disorders, especially major depressive disorder, schizophrenia, mood swings, and drug abuse problems, often occur with a social anxiety disorder. Your doctor will want to determine if there are other conditions that may cause anxiety, or if you have a social anxiety disorder as well as other physical disorders or mental health disorders. Physical examination to help determine if a person is in a state of health or is taking medication that causes anxiety. Your doctor may discuss the symptoms that appear to you, the number of times they occur and the situations in which they occur. Continued fear and extreme anxiety about certain social attitudes, fearing people's judgment or criticism because of your belief that you may be misled, or shamed or insulted. Lack of any other medical explanation for anxiety and fear such as the presence of a particular illness or drug use or medication may cause anxiety. Ask for help early: As with many other mental health conditions, it may be difficult to treat anxiety whenever we are late in treatment. Keep a note: Keeping track of your personal life can help you and your mental health professional identify the causes of stress and things that seem to improve your condition. Describe the problems you face in your life according to their priority: You can reduce anxiety by managing your time and energy carefully. Make sure you spend time doing things you enjoy and feel better. Avoid using unhealthy substances: Alcohol consumption, drug use, even caffeine or nicotine can cause anxiety or worsen the condition. If you are addicted to any of these substances, self-abnegation may increase anxiety, so consult your doctor, talk to the support group and develop a treatment program to help reduce anxiety. The treatment of social anxiety disorder depends on how well it affects your ability to perform your practical tasks in everyday life. The two most common types of treatment are psychotherapy and medications. The doctor first begins with sessions of psychotherapy, which include identifying and changing the negative beliefs of the patient and improving adjustment skills. Psychotherapy improves symptoms in most people with social anxiety disorder. In therapy, you learn how to recognize and change negative thoughts about yourself, as well as develop skills to help you gain confidence in social situations. Cognitive behavioral therapy (CBT) is the most common and effective type of psychotherapy used to treat anxiety disorder when done individually or collectively, which is based on exposure to situations, which makes the patient gradually excited to face the situations he fears most. Exposure-based cognitive behavioral therapy can improve the adjustment skills and help the patient to gain confidence to deal with anxiety-provoking situations. You can also participate in skills training or role-play to practice your social skills and gain comfort and confidence associated with other skills. The practice of exposure to social attitudes is especially useful in the face of your concerns. Although many types of drugs are available, selective serotonin reuptake inhibitors (SSRIs) are sometimes the first type of medication that has been tried to treat symptoms of social anxiety disorder. 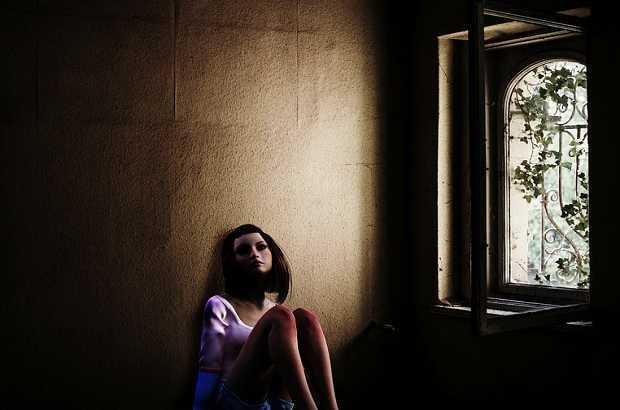 The doctor may prescribe Paroxetine or Sertraline. To reduce the risk of side effects, your doctor may start by giving you a low dose of medication, and then gradually increase it to a full dose. It may take several weeks to several months of treatment until the symptoms improve significantly. Antidepressants: You may have to try several different antidepressants to find the most effective result with fewer side effects. Anti-anxiety drugs: Benzodiazepines may reduce the level of anxiety. Although they usually have a quick side effect, they may cause addiction, severe inactivity and anesthesia, so they are usually described for short-term use and commonly used before taking a particular social position. Beta-blockers: They act by blocking the stimulant effect of epinephrine (adrenaline), but they are not recommended as a treatment for social anxiety disorder because they cause heart rate, blood pressure, heart palpitations, tremors, and sound extremities. Therefore, they are advised to use them irregularly to control the symptoms of a particular situation, such as a speech. It is not recommended in the general treatment of social anxiety disorder. Many herbal remedies have been studied as treatments for anxiety. The results tend to be different, and in many studies, people report that there is no benefit from their use. More research is needed to fully understand the risks and benefits. Some herbal supplements increase the risk of serious hepatic cirrhosis and may have a calming effect, but they often mix with other products so it is difficult to tell whether they help relieve anxiety symptoms or not. Do not lose hope and do not despair if the effect of the treatment does not appear quickly. You can continue cutting off your psychotherapy sessions over several weeks or months. Taking the right medication for your condition may go through trial and error. Symptoms of social anxiety disorder in some people may disappear over time and they may stop taking medications. While others may need to take medicines for years to prevent relapses and recurrence of the condition. To take advantage of the treatment as much as possible, always attend medical sessions and maintain therapeutic visits, and challenge yourself by setting goals to address social situations that make you anxious and take medications as described, and talk to your doctor if there are any changes in your condition. Note: All the medications (drugs) discussed here, are general information purpose only, they are not intended to provide medical or other professional advice. Talk to your doctor before taking any medicines to make sure they are safe and suitable for your condition. Mental Health Awareness should be aggressively promoted to a more mainstream audience so that more people will understand. Getting an HSA or Health Savings Account is also good as it can help cut on expenses when dealing with mental health issues. Thanks to shared your informative blog. It's really very informative blog. Here we also provide Social Anxiety Disorder Treatment Springfield at affordable price.